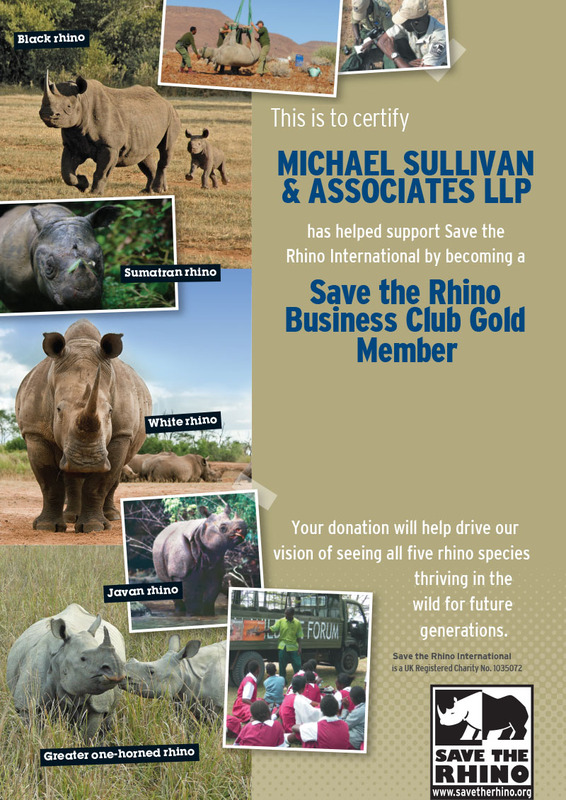 A portion of all sales of Sullivan on Comp are donated to Save the Rhino International, a charitable organization dedicated to stopping the poaching of rhinos worldwide. In 1970, a rhino poaching epidemic began that was to hit black rhino populations severely. The crisis continued to deplete populations right through to the late 1980s and early 1990s, so much so that by 1993, there were only 2,475 black rhinos left in the world. At the start of the 1990s, rhino enthusiasts Dave Stirling and Johnny Roberts took themselves on a 'Rhino Scramble' across Africa, raising money to help the fencing of the Aberdare Rhino Sanctuary and meeting a wide range of rhino conservationists along the way. While traveling, they met Rob Brett, Kenyan Rhino Coordinator at the time, and started to talk about what they could do for rhinos. Filled with inspiration from their journey, the two returned to the UK and set about raising funds for rhinos in Africa. They started with the infamous and ever-growing London Marathon, roping in friends to run the 26.2 mile course around central London in 1992. For more information please visit https://www.savetherhino.org. Michael Sullivan is the founder of Michael Sullivan & Associates LLP, a workers' compensation defense firm with offices throughout California, and author of Sullivan on Comp, a treatise on California workers' compensation law. Sullivan On Comp is the most comprehensive legal guide on California workers' compensation law and its blog will provide updates and education information.